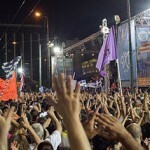 What do Troika and EU want from Greece? Their demands do not make sense at all. A deal is still not reached between “Troika” (European Commission, the European Central Bank and the International Monetary Fund) and Greece, after the recent Greek referendum on Eu proposals in which Greeks voted No with an overwhelming 61% majority. Since then Greece came up with proposal which were submitted to Troika, however there doesn’t seem to be any kind of deal in the horizon. The latest proposal which Greece submitted to Troika is very similar to what Greeks refused in referendum. (source) However Troika doesn’t even seem to be inclined to agree, despite they were the ones who came up with the pre-referendum proposal. So, since Troika is not even agreeing to terms they themselves proposed earlier, what is going on? What does Troika want? The non-agreeable nature of Troika suggests this as the strongest possibility. To general astonishment, the response of the “institutions”, led by the IMF, was to demand even tougher measures to achieve the same targets. These include more severe increases in VAT, a lessening of the tax burden on enterprises and greater pension savings. If these demands are met, the government will not even be able to claim that it has shifted some of the increased tax burden away from workers and the poor. So, when Greek government comes with proposals which Troika demanded from Greece before the referendum and Troika still does not budge, this would mean that they are just avoiding an agreement. One potential outcome of non-agreement is cutting of critical funding to Greek economy. Which would make it impossible for Greece to stay in Eurozone, and subsequently Greece would have to exit Eurozone. Greece would experience a few months of turmoil and crisis as it transitions to Drachma. This would naturally be a ‘lesson’ to all the other countries in crisis inside Eu as to what would happen to them if they do not oblige by the demands of Eu. Spain, Italy are much bigger economies of importance, hence ‘stemming the anti-austerity tide’ by making an example of Greece would allow Eu to keep a tighter leash on these countries. Even at the cost of totally killing all principles Eu was founded on. Moreover, France’s situation also seems rather shaky, as rather unfortunately revealed by the NSA spying on France, which Wikileaks exposed. (source) So as an added bonus, this kind of ‘example-making’ would ‘teach’ other countries to obey Eu demands. Why are the creditors forcing Greece to sell its shares in a revenue-generating telecom company, if they are concerned with Greece balancing its expenses with revenue and floating its budget? It doesn’t make sense, does it. Especially when considering telecommunications companies are among the most profitable ones today due to their indispensability in modern societal and economic activity. Greece would get a few measly billions for that sale at most, and help pay its yearly interest payment to creditors today. But, over the next decade, any potential revenue lost from those shares would cause an even greater deficit. 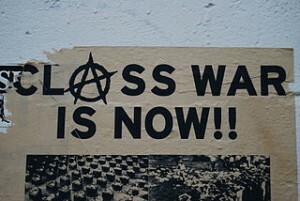 What they are intending is to force Greece to sell off everything in the country and enforce total neoliberalization. Buying out a country piecemeal while destroying its social security, social programs and turning its population into cheap slave labor for multinational corporations who pay little tax thanks to tax breaks they receive. The exact same thing which was done to many countries ranging from Mexico to Argentina – until some of these countries have kicked these creditors out. Financial circles do not like left-wing governments. They negotiate. They try to protect social programs, social security, workers’ bargaining rights, tax multinational megacorporations and whatnot. ‘Pesky’ guys. Greece’s Syriza government is an alliance of left wing parties which want to do exactly these. There is considerable evidence that this has been the European authorities’ strategy since Syriza was elected on January 25. Just 10 days later, on February, the ECB cut off its main line of credit to Greek banks, even though there was no obvious reason to do so. 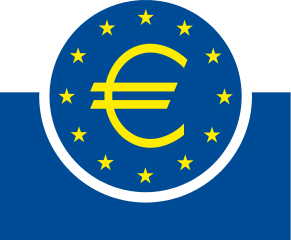 failedweisbrotShortly thereafter, the ECB put a limit on how much Greek banks could lend to the government – a limit that the previous government did not have. 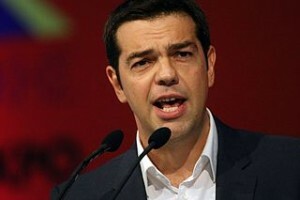 Greece will have to legislate specific reforms for specific, incremental amounts of financing. This has two advantages. Firstly, from a creditor perspective, it will keep pressure on Greece as the government will be forced to return to parliament time and again for small amounts of financing necessary to avert default. The growing sentiment across the Euro area is that a pro-memorandum/Euro majority exists in Greece: it is just not this current majority. Therefore, the more pressure that can be kept on Greece the better, as the more likely it is a new majority will emerge that creditors are able to do business with (Tsipras losing his majority in parliament that precipitates changes to the composition of the governing coalition). “During the elections they wanted to bring Syriza to power for three to four months, conduct negotiations but not give money. They wanted to completely drain the economy, which was done, organize chaos, and then openly punish Greece with closed banks, and in total panic hold elections and throw out the left forever,” the analyst said. You can see how this would result in a more cooperative government, leading to easy implementation of the agenda in item 2) above – buying Greece piecemeal and forcing a neoliberal economy on them. However you look at it, what they are doing by forcing Greece is utterly sociopath. But, when you look at the mindset of the driving force in the circles behind Troika – the financial interests – you would note a religious belief in Neoliberalism. An unwavering belief in the ‘market’ in which people have no choice but to work for minimal wages and minimal social securities for the benefit of a cadre of investors who ever-increase their profits at any cost to society. Therefore it should come as no surprise that the very people who are currently talking on behalf of ‘Europe’ are totally violating any/all principles on which the European Union was founded. 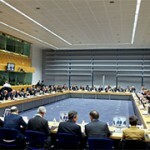 What do Troika and EU want from Greece? by Via Populi is licensed under a Creative Commons Attribution-ShareAlike 4.0 International License.